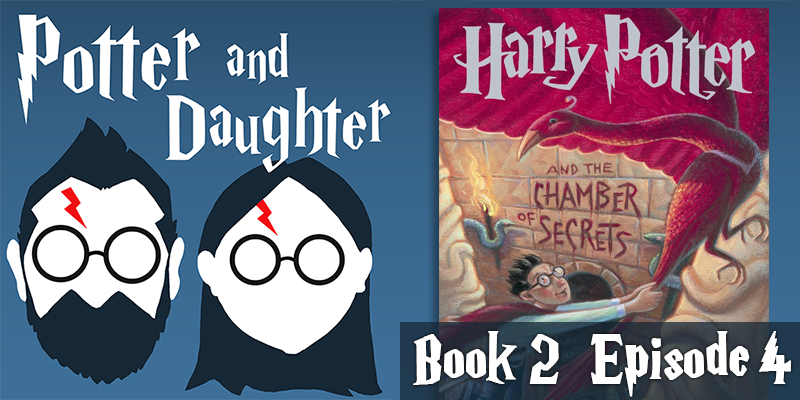 In the seventh episode of Potter And Daughter, Joel and Lily pick up right where the last episode abruptly left off with Harry Potter And The Chamber Of Secrets at chapter 14. Things start calming down around Hogwarts until Riddle’s diary goes missing. A main character gets petrified, and Harry and Ron meet Aragog. Ginny heads down into the chamber and Harry follows her, eventually facing off against the memory of his greatest foe.